The affordable original gift for all occasions! If it's made by Bill, you know you got the best! 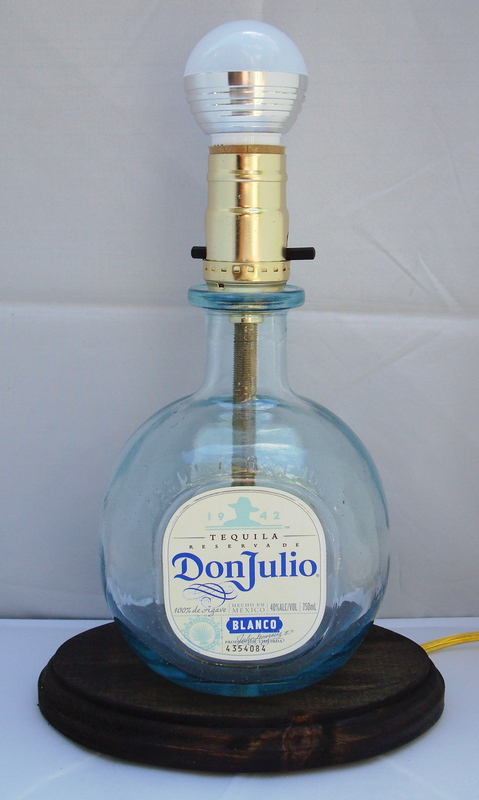 Precision engineered high-quality hand crafted collectible bottle table lamps. Custom made in the U.S.A. Each one carefully constructed by skilled craftsmen with UL listed components for years of reliable service and backed by a lifetime guarantee. Premium components include a brass plated PUSH-THRU standard size bulb socket, plated IP lamp pipe, gold cord with molded plug, sturdy stained wooden base, and non-slip base bumpers. Featured in the finest upscale gift shops and boutiques. 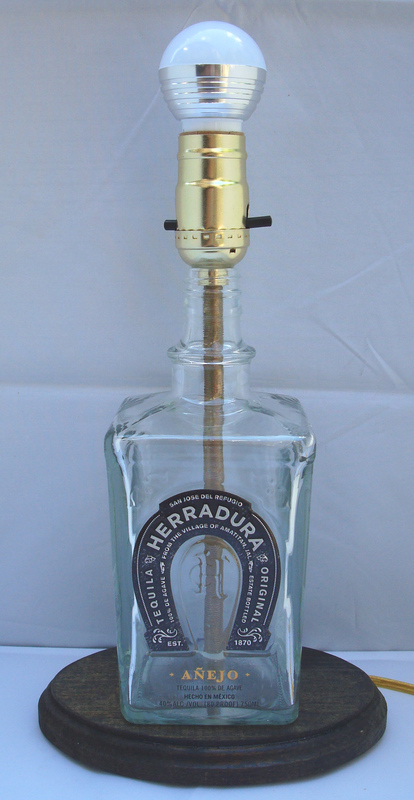 Rare bottles, special designs, and custom work/paint extra. Light bulbs and shades not included. We accept Mastercard, Visa, Discover, and PayPal. Over 100 lamps on display! for pickup at our shop in Hooksett, New Hampshire (pdf). Dealer inquiries welcome. Custom displays for your store. Most popular brands available - Just ask! 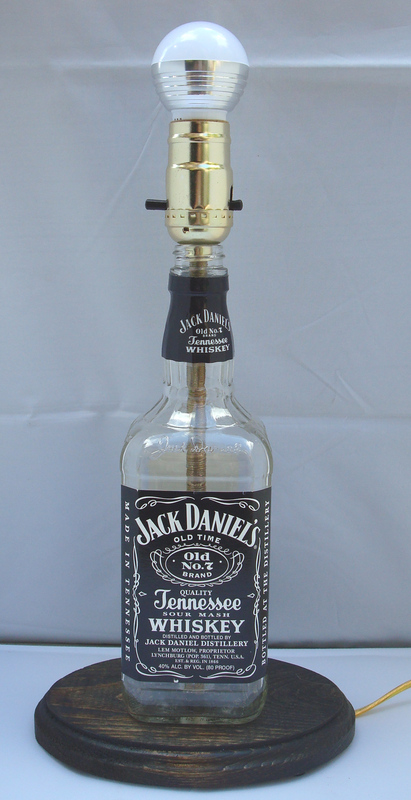 *All lamps are made from empty upcycled liquor bottles. All bottle trademarks belong to their respective owners and they are not involved in or are affiliated with the production or distribution of these lamps. 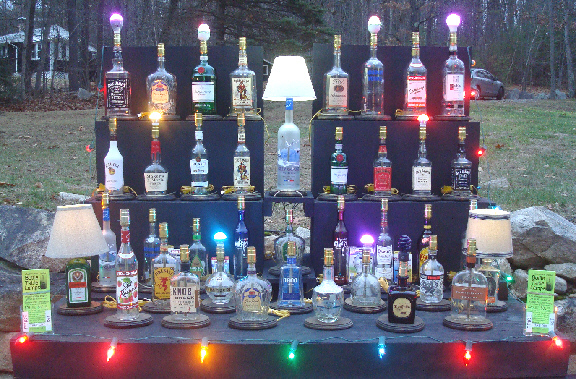 Click here for more liquor bottle lamp pictures. 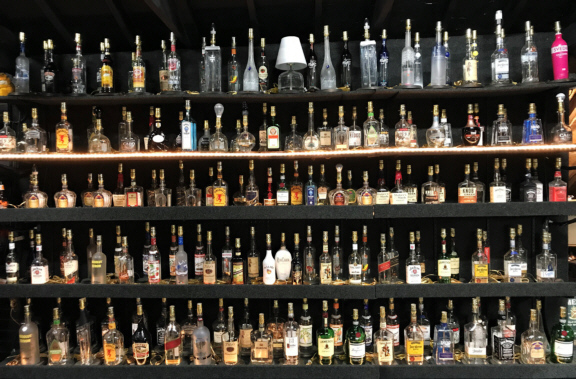 Can you add your bar and/or restaurant to our friends list and help us save bottles?